11 is a powerful, mystical, mysterious, and life changing number. It has deep roots in mysticism and is a portal to both ending the old while beginning the new. What is your grandest wish for your life right now? What’s stopping you from this gift? These are the questions to open the new energies. The eleventh door is a mystical doorway associated with the Akashic Records, where all memories of all life everywhere are held. The Akashic records houses our soul records. The stories, lifetimes, themes, energies, that we carry in our DNA codes. This ancient hallway houses all the records past, present, and future. It is beyond the capacity of our “mind” to understand, but for the purpose of this posting, we will focus on how it fits into this month of November. 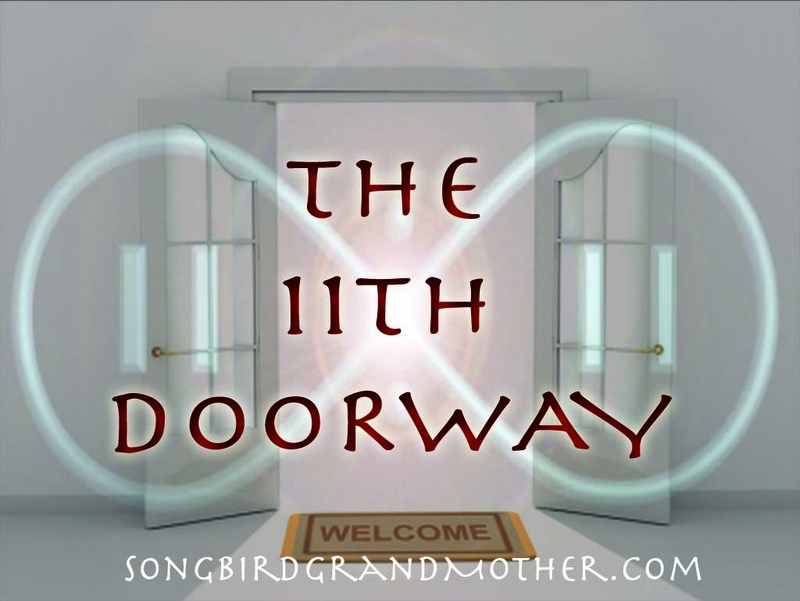 Because the 11th doorway is the Akashic doorway it can be understood as a doorway where all lives mingle and meet. The pressure is building ready to explode, and life is squeezing us to walk into the new beginnings. Whatever is not in alignment to your dreams is crying to be let go of. Resistance may peak, emotions may rise and fall, and the overall energies you feel can be overwhelming at times. The 11th door is like two pillars–on one side you have a crumbling of the old thoughts, beliefs, patterns, fears, resistances, and on the other, there is a sense of newness, fresh beginnings, new life, hope, optimism, courage, and faith. We will begin to open the door of new beginnings as always by releasing the old. In order to walk into the new, the old has to go. There is no NEW without letting go of the old. This year the date of 11/11 is aligned to the new moon in Scorpio bringing in waves of change and new beginnings and very strong energies of Spirit. We will have both the moon and sun aligned to Scorpio, which means the veil between worlds is very thin and the voice of Spirit is working strongly with those ready to change. Whatever the boulder of fear that stops you from your life mission is–it is starting to melt like water, and to cross the “bridge” to the new life requires, a FULL release of the past. Energy of the past is like garbage bags. In fact we call it “baggage.” The older we get, the more we accumulate, unless we have a system to “take the trash out.” Imagine that an unhealed past is like walking around with a landfill of trash around you. It repeals the good, attracts rodents, pests, vernon, and nothing new and refreshing can grow, unless the trash is purified into compost and worked in with new soil. Energetically the past energy blocks present and future flow and it is the real dream crusher. This month the energy may feel like a mixed bag, until the energy stabilizes. Breathe. Don’t underestimate the powerful act of just breathing. Breathing is a releasing of the old energies, it brings new energy into our bodies and brings focus and awareness back into the present. Do 10 big inhales and exhales. Focus on your breath until you feel calmer. The last key is to Get Outside! The best way to clear your energy is to connect to the Earth. Feel the ground below you. Be thankful for the air you breathe, the ground that supports you, the sun that feeds you, and the opportunity to feel life. Nature is our best ally when releasing the past. Remember to connect to your true nature of love. This 11/11 there is an invitation to surrender. Surrender all the resistances, the questions, and doubts. To enter into the 11th doorway means you leave your past behind. Take out the trash, deodorize your energy field. The energy will be strongest from 11/6/15 to 11/11/15 then will continuously rise into the “portal peak” of 11/21/15. During this time, remember to journal, write down your dreams, focus on your journey, and connect with nature. Also be sure to nurture your physical body by eating what feels good vibrationally, drink lots of water, exercise, get creative, and align to what feels good. All of this intensity is leading us to our final energetic doorway of the year 12/12, which I will write about at a later date. Trust that all is weaving you to clarity, strength, and most importantly love. So good to have you on the journey, Lisa! Happy 11:11! Cheers to a new doorway opening! Yei!